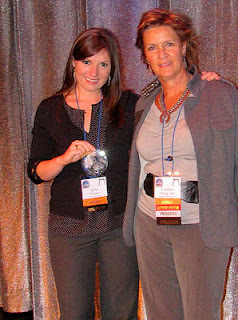 While in Las Vegas for the Narcolepsy Network Conference, I was awarded the “Public Awareness Award” 2011 from this national narcolepsy organization on October 15, 2011. I’m incredibly honored to receive this award. Raising awareness about narcolepsy is a joy and privilege. I look forward to continuing my advocacy work in years to come. We’ve only just begun! A big CONGRATULATIONS to the other award winners, including Manic Ramblings of Marcianna! Thank you to Main Man of Narcoleptic Knights for sharing his photography. so proud of you julie…congrats!